The beginning of a story is also called the hook. Why? It is akin to fishing. You hook a fish and then reel them in. Same thing with the beginning of a story. If you hook a reader, they'll want to keep turning pages and hopefully you gain a loyal fan. If you can't hook a reader from the git-go, then you'll lose them as a potential reader. They aren't going to stick around for the "good part." Your goal as a writer is to grab that reader's attention so you've got them hook, line, and sinker. Why do I bring this up? 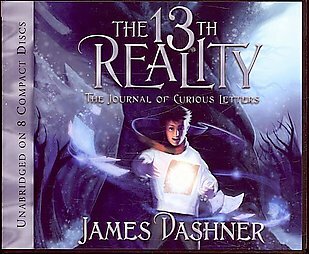 A week ago I found James Dashner's The Journal of Curious Letters (Book 1 of the 13th Reality Series) on audio CD. Best of all, it was only five bucks!!! 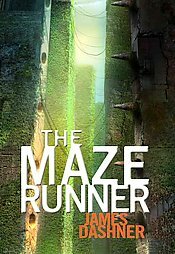 It is a book I've wanted to pick up for a while since I like Dashner, both as a writer and a person. I also figured I'd have something to listen to in the car for a while. After finishing the first disk I pondered how the beginning really grabbed me. He enthralled me with a great, whimsical voice that I instantly identified with. The characters where eccentric and interesting. There was a great mystery afoot from the beginning, making me desire to continue listening and find out about the letters being mailed from Alaska. And I instantly liked the protagonist right from the start. 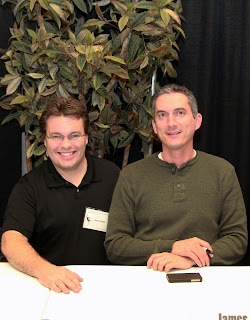 Dashner hooked me! I can't wait to continue on to disk 2. I was trying to remember the last time I was so thrilled by the beginning of a story. Then I remembered The Maze Runner and how it hooked me just as well, if not more. From page one it had this great mystery and I refused to put the book down until I had some answers. I'm sure most of you know where I'm going with this, but it seriously took me a little bit to make the obvious connection. The Maze Runner was written by James Dashner!! So I tip my hat and monocle in his general direction. Well done, James. I hope some day I can start off a story as well as you. Well said. I loved 13th Reality and Maze Runner as well. Dashner's the man when it comes to young adventure. I was showing one of my first chapters to Karen Hoover once, and she said, "You're writing reminds me of James Dashner's." I can't tell you what an amazing compliment that was! That comment has kept me going ever since! Great post. I'll have to check Dashner's books out.